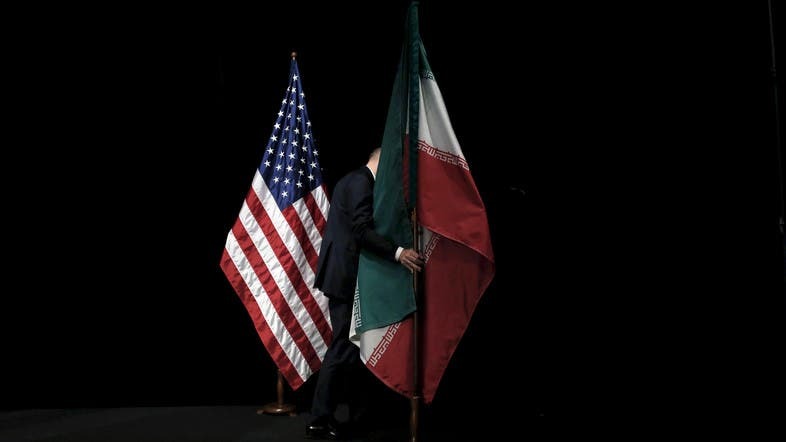 Iranian terrorist “sleeper cells’ operating in the United States mostly unfettered, raising concerns for the National Security as these “sleeper cell” agents wait to launch a large-scale attack on the American homeland. The security experts warned that Tehran could launch terrorist attacks targeting American interests at any moment, either through its cells or through its arm Lebanon’s Hezbollah, which is active in Latin American countries. In Latin America, Hezbollah cells are openly active, which also means that Iran may take Latin America as an advanced launching pad for attacks on US territory or on Washington’s interests in the region when it wants, especially after threats by Hezbollah leader Hassan Nasrallah to target the United States. Intelligence officials and former White House officials have warned Congress that Iran could be planning to launch attacks against the United States. Emanuele Ottolenghi also states that Iran’s proxy terror networks in Latin America are run by Tehran’s wholly owned Lebanese franchise Hezbollah. He also reports the sleeper agents enter America by posing as immigrants who develop legitimate businesses that are a front for their other activities. Peter King, a member of the House Homeland Security Committee, has concluded that Hezbollah is perhaps the most experienced and professional terrorist organization in the world, even better than ISIS and Al Qaeda. A former Intelligence officer worked on counter Iranian influence, Michael Pregent, expressed his concern on this situation where he pointed out that the Hezbollah are expert in explosive devices, assassinations and developing sleeper cell. Eliminating Hezbollah is the biggest challenge for US National Security agencies as Hezbollah are excellent at protecting their communications, operational security, therefore, the conventional investigative tools at national security’s disposal, such as the DNA or polygraph test, are not sufficient enough to solve such a complex case. If sleeper cells do not look like terrorist attack groups and their members may not be known members of Al Qaeda or ISIS, they work in a cryptic way and most essential their loyalty then how do law enforcement agencies find them and eliminate the imminent threat on America? As the threat is real and critical, one wrong decision could result in the loss of million innocent lives. National Security Agencies need accurate and reliable intelligence from better-known foolproof source, the Human Brain. iCognative provided only by Brainwave Science is the closest technology, advanced, impeccably accurate to determine critical intelligence hidden in the brains of terrorists. Utilization of iCognative enables acquisition of details recorded in their brains with all the concealed information required to eliminate such threat in approximately 45 minutes. Any person with suspicion can be subjected to this non-invasive test for matters of National Security. The test has zero false positives and zero false negatives. System driven Brainwave Science iCognative leaves no room for human interpretation. Ease of usage, prompt delivery of results and identification of sleeper cell agents is accomplished by established proven neuroscience technique known as P300/P300 MERMER. iCognative when utilized by Department of Homeland Security, Federal Bureau of Investigation and Joint Terrorism Task Force (JTTF) rapidly delivers on valuable and accurate intelligence about Hezbollah and sleeper cells. Investigation details related to the case including but not limited to some only known to the perpetrator and investigator are entered into the system protocol for testing, in form of words, phrases or pictures. Specifics to this case may include investigation details such as: information regarding bomb-making; the link with Hezbollah; link between Iran and Hezbollah; other uncaptured sleeper cell agents; the location of attacks; etc. The test provides determinations in finality with no room for speculation, accuracy rates are always over 99%. The highest ever provided by any modern technology. In the current volatile situation, Brainwave Science‘s iCognative technology promises to prove its mettle and meet merits for authority’s intelligence collection process, thwart all threats domestic and international to the United States. iCognative is the most superior and reliable forensic technology available in the security market as it guarantees a high success rate and results with an accuracy rate of 99.9%.